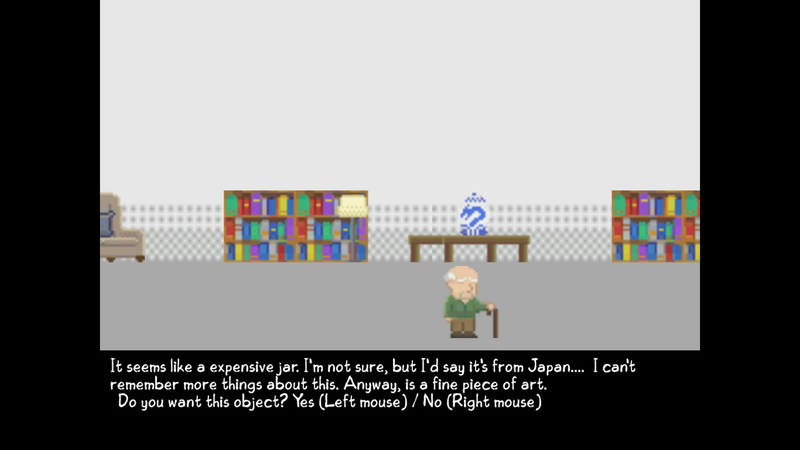 'Her Name' is an point & click adventure game, where you control Tom, and old guy who has been recently diagnosticated whit a severe alzheimer and see how his world is getting smaller. Knowing this, all that Tom wants from this point is to remember the name of his beloved wife. In order to do so, Tom has to go through his mind, collecting important memories that will lead him to the name of his wife before his world dissapears. Depending on the memories you collect, you'll have a "good" or a bad ending. Left click: Accept/Take or replace item. Right click: Cancel/Don't take item. Version 1.2 post LD38. 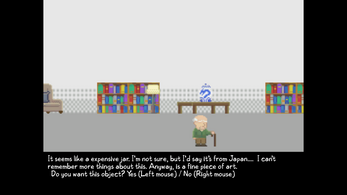 You can play the original Ludum Dare version here. - Add Fast forward option on text.